Hooke’s Law is a law that says the restoring force required to compress or stretch a spring is proportional to the distance the spring is deformed. Δx is the change in the spring’s position due to the deformation. The minus sign is there to show the restoring force is opposite of the deforming force. The spring tries to restore itself to its undeformed state. When a spring is pulled apart, the spring pulls back against the force of the pull. When a spring is compressed, the spring pulls back against the compression. 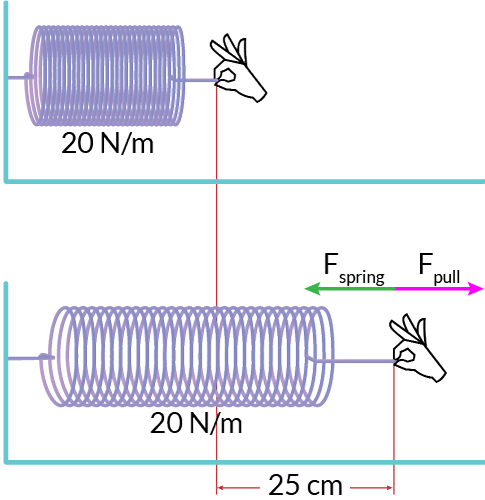 Question: How much force is needed to pull a spring with a spring constant of 20 N/m a distance of 25 cm? The k of the spring is 20 N/m. We need this unit to match the unit in the spring constant, so convert the distance to meters. Plug these values into the Hooke’s Law formula. Since we’re looking for the force required to pull the spring apart, we don’t need the minus sign. Answer: A force of 5 Newtons is needed to pull this spring a distance of 25 cm. 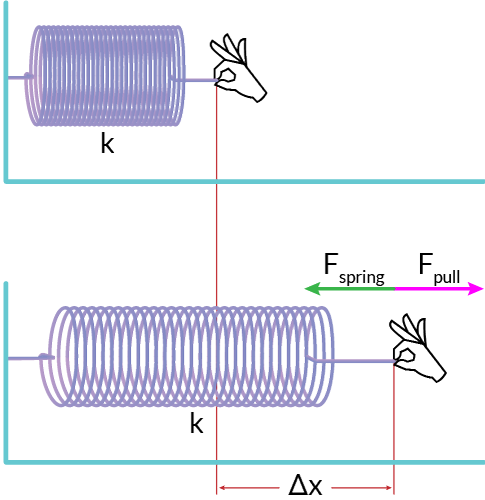 Question: A spring is pulled to 10 cm and held in place with a force of 500 N. What is the spring constant of the spring? The change in position is 10 cm. Since the units on the spring constant are Newtons per meter, we need to change the distance to meters. 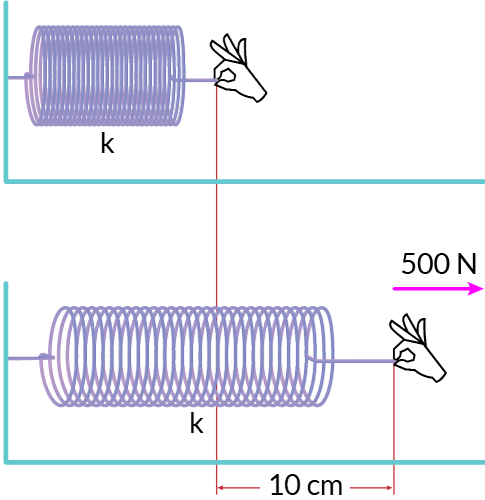 Answer: The spring constant of this spring is 5000 N/m. I used Hooke’s law without even thinking about it when I measured the size and type of spring needed to close the screen door on the Florida room.